deaths. One aborted her child. Another watched his lover waste away with retroviruses. detail, adopting its methodology of correlating sin with consequence, but modernizing the punishments (and, of course, societal context). is intertwined with that of an everyman searching for a child he never knew existed. 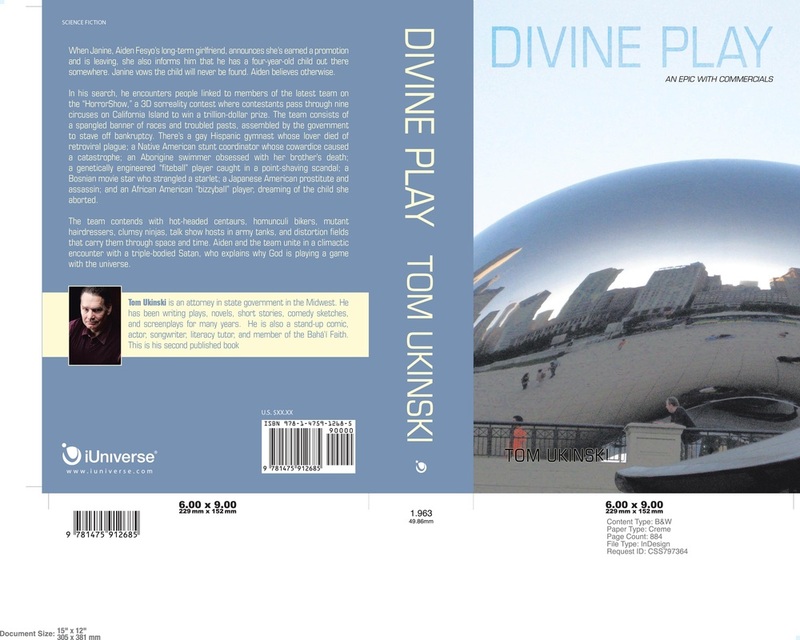 artificial ones), portrayed a story from multiple viewpoints (for example, Divine Play has a chapter narrated by the Earth), and went beyond the superficial characterizations in most sci-fi (and most popular fiction). I wanted to write a humorous “epic” that utilized multiple forms of media (albeit reduced to print), and also combined literature with sports (however bizarre my versions of the sports). Since sci-fi magazine publishers regularly provide lists of topics that they do not want to see, I made sure that I included them with every other that sci-fi category I could think of. Are there any writing-related websites you have found beneficial in our writing? I rely primarily on informational websites, especially those devoted to science, medicine and history.